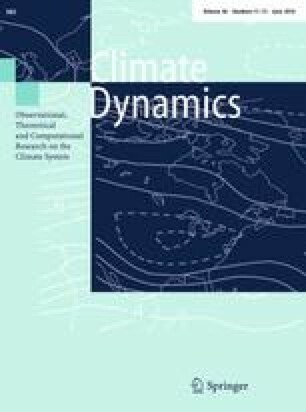 This study applies WACCM, a stratosphere-resolving model to dissect the stratospheric responses in the northern winter extratropics to the imposed ENSO-related SST anomalies in the tropics. It is found that the anomalously warmer and weaker stratospheric polar vortex during warm ENSO is basically a balance of the opposite effects between the SST anomalies in the tropical Pacific (TPO) and that over the tropical Indian Ocean basin (TIO). Specifically, the ENSO-related SST anomalies over the TIO are to induce an anomalously colder and stronger stratospheric polar vortex during warm ENSO, which acts to partially cancel out the much stronger warmer and weaker polar vortex response to the SST anomalies over the TPO. Further analysis indicates that, while the SST forcing from the TPO contributes to the anomalously positive Pacific North America (PNA) pattern in the troposphere and the enhancement of the stationary wavenumber (WN)-1 in the stratosphere during warm ENSO, the TIO SST forcing is to induce an anomalously negative PNA and a reduction of both WN-1 and WN-2 in the stratosphere. Diagnosis of E–P flux confirms that, the anomalously upward propagation of stationary waves in the extratropics mainly lies over the western coast of North America during warm ENSO, which is mainly associated with the TPO-induced positive PNA response and is partially suppressed by the effect of the accompanying TIO SST forcing. This work are jointly supported by research grant from the National Natural Science Foundation of China (41575041, 41430533 and 91437105), a Chinese Academy of Sciences project (Grant No. XDA11010402) and a China Meteorological Administration Special Public Welfare Research Fund (Grant No. GYHY201406001). The authors thank the reviewers and editors for their helpful comments and kind suggestions. We acknowledge the UK Met Office providing HadISST dataset. We also thank the NCAR providing the WACCM model.